My answer to him, in just one minute but important to take note of the importance of promoting grassroots democracy and having to be accountable to the people. I have learned to make simple videos with IMovies Apps. Sharing this with you and more to come. 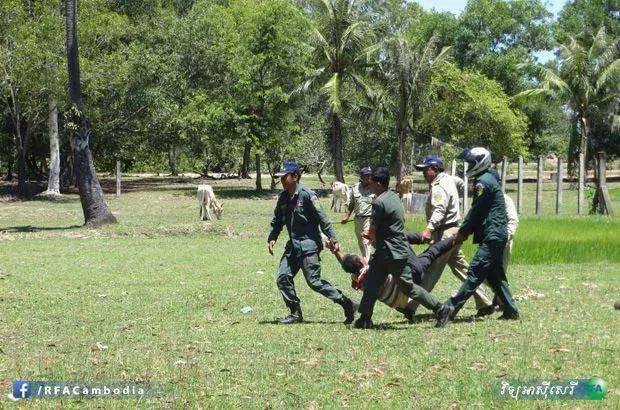 Injured villager left unattended by police. Frigthened children witnessing their father being taken away by police. A long journey for the Lor Peang- Kompong Chnang villagers, to find justice for their land grabbed by the wife of the Minister of Energy and Mines for close to 10 years. Their journey to bring their complaints to Parliament was met 3 days ago with the brutal police forces, arrest and detention of 5 villagers, and physical injuries. Among them are pregnant women, infants and the elderly. Intervention from opposition MPs got them to the outskirts of Phnom Penh where they were met by the land victims of Beung Kak Lake led Tep Vanny, all of them victims of land grabs. The people prevented from marching into the city by more police forces. 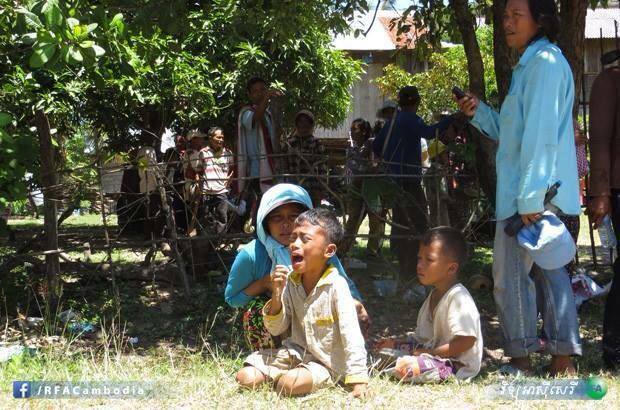 With intervention from MPs and the strong will of the people, the villagers are now staying in the shelter ofthe Beung Kak Lake community. The Opposition has already announced that the case will be heard in Parliament in the near future as part of the weekly Q/A sessions. Thank you for sending me your concerns on the health issues. Please rest assured that we will consult health experts to develop our strategies and priorities in this sector as well as other sectors covered by Parliamentary Commission #8 to be chaired by CNRP. All constructive criticism will be regarded as your contribution to the building a better Cambodia. By dumping every problem faced by Cambodia on the Vietnamese is escaping our own responsibility and accountability. For example, how do we undertake the in depth reform in the Justice system and the judiciary specifically? It takes vision, strategy, tactics, action plan, time frame, money, experts…..and this is what we are working on. CNRP promised to the voters and the brave millions who walked the streets with us for more than ten months that we will demand a independent and neutral NEC that will be an institution enshrined in the Constitution. First Hun Sen rejected the demand and we stood firm. Now we have what we want and in order to reach our goal, we must take oaths, take our seats to amend the Constitution. We demand that All 9 members of NEC and the Constitution and the new Election and NEC laws to be amended and adopted within a month and this is accepted by CPP. We are lobbying the European Commission, Japan and Australia to support the new NEC and there are good signs. CNRP election team works day and night to get ready for the full rehaul of NEC and the new voter list. Mr. Kheuy Bunreun gave up his MP seat and is one of our confirmed candidates for NEC. He is truly an election expert and will not sell out. He is as tough as rock , young, totally determined and led two successful elections in Takeo and Kompong Cham. Our technical team lead by MP, Nhem Ponyarith is negotiating for the reforms in the National Assembly to ensure a full and legitimate role of the Loyal Opposition. The Chairs of the parliamentary commissions have been confirmed within the party and need to be voted in at the next session of the National Assembly. CNRP will hold the seat of First Deputy of the National Assembly. All these reforms will give CNRP the power to act and to defend the people and national interests. We never said we do not want power because we have the vision as how we will use this power to reach the long term goals. CNRP leadership is solid, our in house affairs are run through and by Committees defined in our party structure. In the next two weeks CNRP is holding election at grassroots level to restructure the sub-national level Committees as the party is growing significantly in size. I am now in Battambang to monitor the party election. I am so touched by the commitment of our local leaders and supporters to make CNRP the party that will win elections in the future and the party that will bring true democracy for Cambodia. In the meantime, our youths, and the independent mass movements continue to shake things up in the streets. The last three days of protest to demand an apology from Vietnam is a very clear sign that we Khmers are in control of our own nation. We need to take ownership of each gain made on this long road to democracy and peace for our beloved nation. MP, Sam Rainsy, leader of the Cambodian Loyal Opposition says so in his very significant speech on 8 August: let us open a new culture of dialogue and of non-violence. He has defined the new rules of the new game. The old game of violence is Hun Sen’s football field where the goal keepers, the players and the referees is just one man who hands out no yellow nor red cards. Finally, as Director General of CNRP in charge or Public Affairs and Mass Movements, i try to do my very best to give to the public the information that describe how the party tackles the challenges we all face as we walk the long road to Peace. Again, we hear your criticism but help us more by being specific in how you need things done and in the context of Cambodia. We are aware of the spread of rumours of exchange of money during the deal. We have full trust in each and everyone of you and of your wisdom and judgement as to how you take these rumors posted on facebook. How long do we want to play this game? United , Democracy Will Win. I am summonsed to appear by the Phnom Penh Court for futher questioning, next Monday 11 August at 8 am. I will appear as parliamentarian with fullparliamentary immunity. Will continue to go thru the full course of the Cambodian justice system. 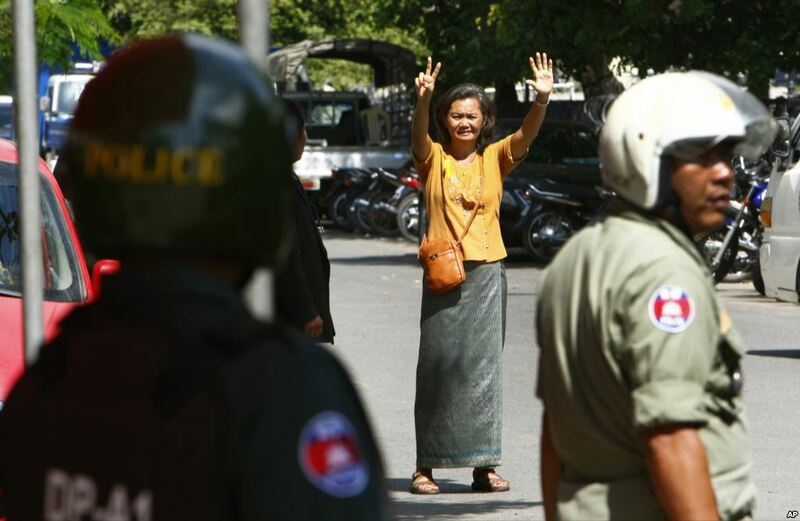 “We can claim that the political crisis in Cambodia has ended with the full 123 elected representatives present today. The 22 July Agreement will bring hope for justice and peace to our people, under the close monitoring of the international community.Without trust and good faith, nothing will last. I believe that a new historic page of dialogue and mutual respect has been turned. We should not work against each other as enemies but as partners who have come together in good faith to find long lasting solutions for a just, fair and sustainable development. 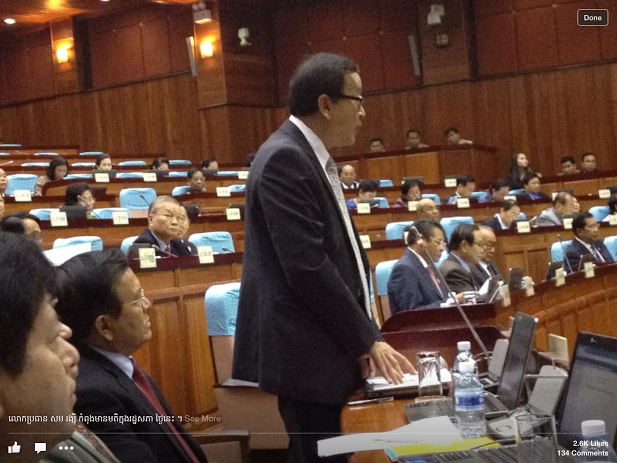 Let us leave behind the dark pages of the past”, says MP Sam Rainsy Leader of the Opposition, at the Extra-ordinary session of the National Assembly today. Who are the richest in Cambodia? How do they get to the top? 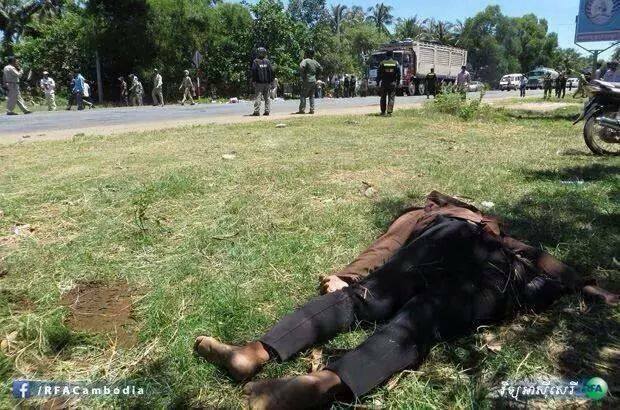 And What Mr.Hun Sen wants to do with them now that the Agreement is signed with CNRP? In the 22 July Agreement between CNRP and CPP, Parliamentary Commission 10 on Anti-Corruption will be chaired by CNRP with absolute majority should vote be required inside the Commission. Until now, the Commission was chaired by CPP with no opposition MP. The best that can be hoped for is that Commission 10 can open in-depth investigation into economic land concessions provided to these richest by Mr. Hun Sen himself. Some of these infamous land deals are : Beung Kak Lake ( to senator Lav Meng Khyn), the Fine Arts Cultural Center (near the old Olympic Stadium to Mong Rithy Group), Sugar Cane plantations that produce “blood sugar”( to Ly Yong Phat) and many more cases of state property sales in Phnom Penh and the provinces. In Battambang alone, these deals amount to US$300 million, involving the former provincial governor. CNRP says it very loudly and has the full support of the voters: We will open the Sok Khong case in Siem Reap for its full right to manage entrance fees to the Angkor temples. Where is the money? To support the CNRP in its future investigations : the National Assembly Internal Rules and Regulations allow 30 MPs to send letters to reprimand Cabinet members should they fail to appear for the Q/A sessions or the MPs are not satisfied with the answers. In the past , the opposition was shy of one MP. The next step after investigation will be prosecution. Unlikely the judiciary will be reformed soon. However, the public does not need all cases to be investigated, even one investigation will set a new culture inside the National Assembly: the recognized roles and functions of a Loyal Opposition that can truly serve as an anti-graft watch-dog. A new culture of transparency and accountability will be started and the public will be empowered to follow parliamentary affairs. China has embarked in an anti-corruption campaign and the latest investigation of Zhou Yongkang, one of the 9 members of the party paramount policy making body gives a signal that dealing with the endemic corruption of the richest is a must. The question is: why did Mr. Hun Sen agree to Mr. Sam Rainsy’s request for the Anti-Corruption Commission in the National Assembly? Because his sword is not long enough? Another question is: Is it too little, too late. To the CNRP General Assembly, both top party leaders made it very clear: We intend to deal with corruption by using Commission 10 and to open cases of human rights abuse by using Commission 1 on human rights, both to be chaired by CNRP. List of Oknha,[a title given to persons who have made a very high charitable donation]in Cambodia. This list of Oknha is not ranked by their fortune, because we don’t how much they have exactly but we know that all of these people are the key factor in Cambodia. Oknha is a prestigious title that any wealthy Cambodian aspires to hold. This award of honour was created more than ten years ago and is aimed at those, men and women, who contribute to the reconstruction and the development of the Kingdom. These men and women are mostly influential business people who are connected with the high circles of the ruling power and know, for some of them, how to use this title in order to obtain preferentialtreatment. On April 5th 1994, the two co-Prime Ministers at the time, Prince Ranariddh and Hun Sen, signed a sub-decree concerning the creation of decorations aimed at local or foreign benefactors working on the welfare of Cambodia. Depending on the level of contribution paid to the Government, three types of medals are granted for national construction: gold, silver and bronze. The lucky recipients of a gold medal – that is when their donation, whether it be material or financial, exceeds US$100,000 – also receive the title of oknha. According to Thien Mao, director or the Decorations Department of the Council of Ministers , 220 oknhas, among whom less than ten women, have officially received this honour which inspires respect within the Cambodian society. However, these figures are simply official and represent a large underestimation of the real figures. Miech Ponn, councillor for the Khmer Mores and Customs Commission at the Buddhist Institute , indicated that the title of oknha could be traced back in the history of Cambodia to the 15th century, under the reign of King Chao Ponhea Yat (1421-1462). Going by his own research, Miech Ponn attested: “In the 15th and 16th centuries, oknhas were district and province governors as well as the king’s personal councillors, in charge of royal, military, judicial and agricultural affairs”. He explained that this title was closer today to the usual “His Excellency” title which precedes the names of ministers and provincial governors. Time went by and the meaning of oknha was derived from its original sense. Nowadays, those who are granted this honorific acknowledgement are no longer those situated at the forefront of the country’s political life but rather, as Thien Mao said referring to the 1994 sub-decree, major sponsors of the state in its effort to rebuild the country. Thien Mao explained the procedures in details: “If a person makes a donation to fund the construction of a school or a road in a province, then the village, district and province authorities can build up an application which will be sent to the Ministry of Interior in order for this benefactor to be acknowledged. When the Ministry of Interior has completed the study of the case, the dossier is handed to the Decorations Department through the Council of Ministers”. “Then, I check the documents, draft a note certifying that the person has indeed made a donation, and my department can finally express its opinion before passing the application onto the Council of Ministers”. After this, it is the latter’s responsibility to study the case and hand it to the Secretary General of the government, which in his turn will give it to the head of government. The application ends its race in the hands of the King, who finally signs it. Sometimes the Decorations Department turns an application down if it is thought that a few elements in the dossier need to be clarified. The case then goes back to the Ministry of Interior and if the need is felt, it can be sent all the way back to the local authorities who initiated the request. Evaluating the amount of a donation can sometimes lead to constant headaches. From one step of the long chain to another, accounting rules may differ. Then comes the question of the relevance of the said donations. Thien Mao pointed out: “Let us take the example of a person who gives out 32 mobile phones to the authorities. We have to wonder whether this gesture is serving public or individual interest. These types of donations are delicate because they do not serve the public interest in the same way as schools or hospitals do”. Thien Mao carefully added that his department never turned any candidate down but at most, invited the persons who set up the application to review their copy. The representative then quickly put in a remark, saying that “some” hit the gold and the title of oknha by directly contacting the Prime Minister without going through the Decorations Department. No further comment was made. They can be businessmen from all backgrounds, Cambodian nationals or foreigners, who pay a share of their fortune to the state, mostly through the direct funding of projects such as the building of basic infrastructures. As a matter of fact, almost all of the elected members to the Chamber of Commerce in Phnom Penh belong to the most privileged cast of oknhas. Thien Mao stressed that once oknhas are nominated in accordance with the sub-decree, some of them join the state apparatus and become senior government officials or Members of the Parliament. It is factual that almost all oknhas are members of the ruling CPP party . According to Cheam Yeap, CPP chairman of the finance committee of the National Assembly , the latter shelters three oknhas and the Senate , six. Thien Mao stressed that because of the extent of their generosity and competence, the government wants these oknhas to work for the development of the country by integrating them within state institutions, and he precised that “officiating as a Member of Parliament, for instance, is not incompatible with their title of oknha”. When asked about those oknhas who use and misuse their title to breach the rights of their fellow-citizens, Thien Mao exclaimed that the holders of this award “cannot act the way they wish to”. However, the press regularly publishes reports of land disputes pitting oknhas against modest villagers, and is not particularly flattering to those oknhas. In 2007, a report of the British NGO Oxfam pointed out that 23,08% of the kingdom’s territory belonged to oknhas, who are often known to be high-ranking land speculators. Thien Mao did not deny that “some of them” have been summoned to court because they used their title to breach the law more easily. Yet, he stressed that despite all this, the cases remained scarce, and then announced that those cases did not pertain to his department but rather came under the responsibility of justice. Ros Chantraboth, vice-president of the Royal Academy of Cambodia, deplored the bad faith of a few oknhas who, by placing themselves above the law, “tarnish the honour”of the cast. He agreed with the fact that only a handful of those do misconduct. On his part, SRP MP Son Chhay denounced the corruption surrounding the granting procedure of the title of oknha. “Some only aim at getting this title so as to be able to elbow others in the illegal dealings they want to conduct”. A title that does not change anything? Si Kong Triv, who has held the denomination of oknha for more than ten years following a proposal of the title by the government itself, does not see “anything extraordinary” about holding it. “Many of us bear it nowadays…”, he said as an explanation. Oknha Mong Rethty for his part, said that “becoming an oknha does not change anything to your business! It all depends on the circumstances. I, for example, became an oknha in 1996 when the country was still not enjoying peace”. He added that he had paid out more than US$4 million in the building of infrastructures. Still, if this title cannot be used to get away with anything, Mong Riththy admits that it is “like travelling in first class”. Is the title of “Neak oknha” more prestigious than that of “Lok oknha”? According to some, the “neak”prefix indicates that the person has received the title a long time ago and has been more generous in their donation than “lok oknhas”or other ordinary “oknhas”. However, the representative of the Decorations Department pointed out that the sub-decree does not stipulate such distinctive treatment. “Some increased their rank by adding the prefix ‘neak’ in front of their title. But originally, the sub-decree only refers to ‘oknhas’… Having said that, we must establish a hierarchy among oknhas, which will be determined depending on the amount of their donation to the state, and in collaboration with the Royal Palace”, he suggested. A donation between US$500 and US$1,000 enables the granting of a certificate from the Council of Ministers.